Because my mom and dad both work full time, I do the aftercare program at school. The teachers there provide snacks that are really unhealthy with lots of dyes and preservatives and junk. I also usually have allergies to those foods too. Aftercare is fun though, and I really enjoy going because you can play whatever you want as long as you stay. However, I am really hungry when I get out of class. Last year my mom and dad made a little bag with a bunch of snacks that I put in the cabinet there. That way, when everybody else went to get snack, I could just walk to the cabinet and get my snacks, which were olives, freeze dried corn snacks and fruit strips. This year we had other interests, so we went to the supermarket to look at some snacks. We found these amazing chips. They are called corn dippers and are from Trader Joe’s. 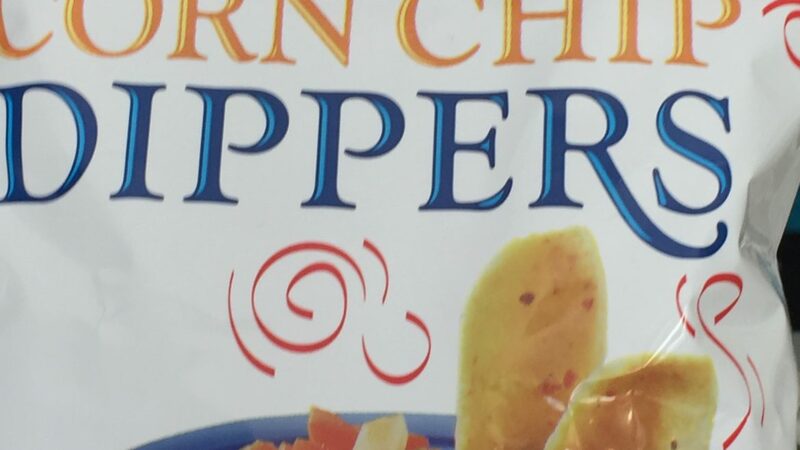 These are like tortilla chips except they are curved in like a bowl, and also the corn dippers are a lot thicker than regular tortilla chips. So we decided to buy a bag and see if we liked them enough to take to aftercare. I was really excited to try these new chips and thought about them all the way home. So the next weekend, we had them with lunch. And while I know that chips aren’t the healthiest thing on the planet these chips have just three ingredients: organic corn, organic sunflower oil and sea salt. The first thing you have to know about these chips is this: they knock the daylights out of lots of other tortilla chips. A.K.A – They. Are. Goodness. So I had these chips on the side of my lunch and I decided I would dip my chip into the rice and beans. It was delicious. I thought I should get a patent for inventing this incredibly yummy snack. 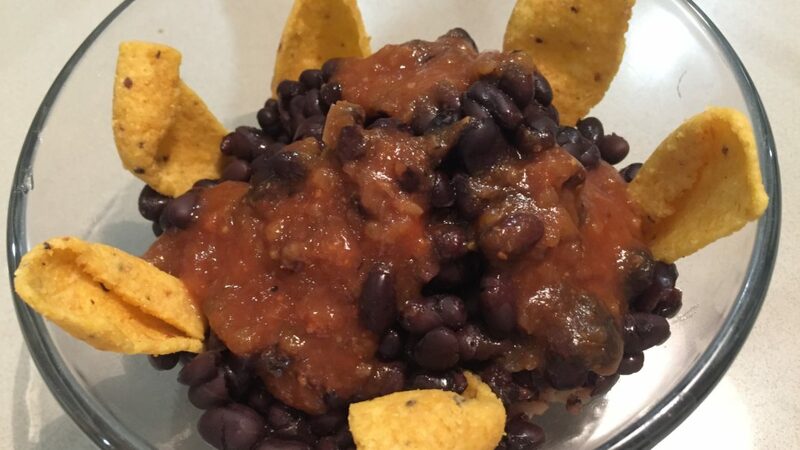 This is what I titled my invention: Dippers And Beans. Great name, don’t you think? These chips are really good with a bunch of things. They would be good with salsa and guacamole and as Dippers And Beans. And they are just as good plain! This is definitely a snack I am taking to aftercare. 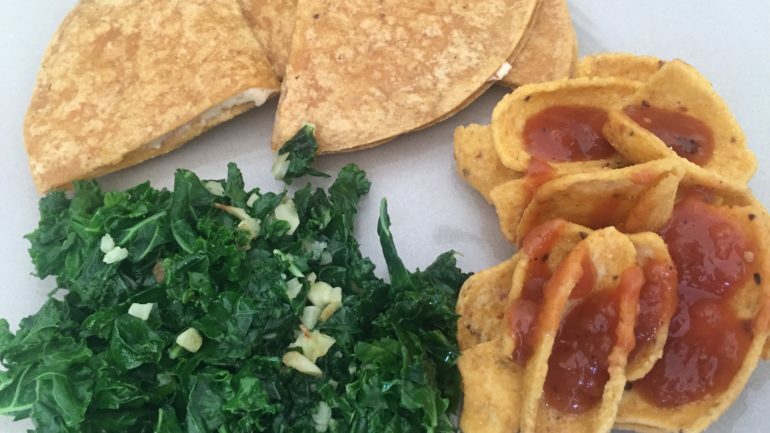 And I will have them with lunch sometimes too like the lunch I had this weekend which was vegan cheese quesadillas on corn tortillas, sautéed kale with garlic and corn dippers with salsa. 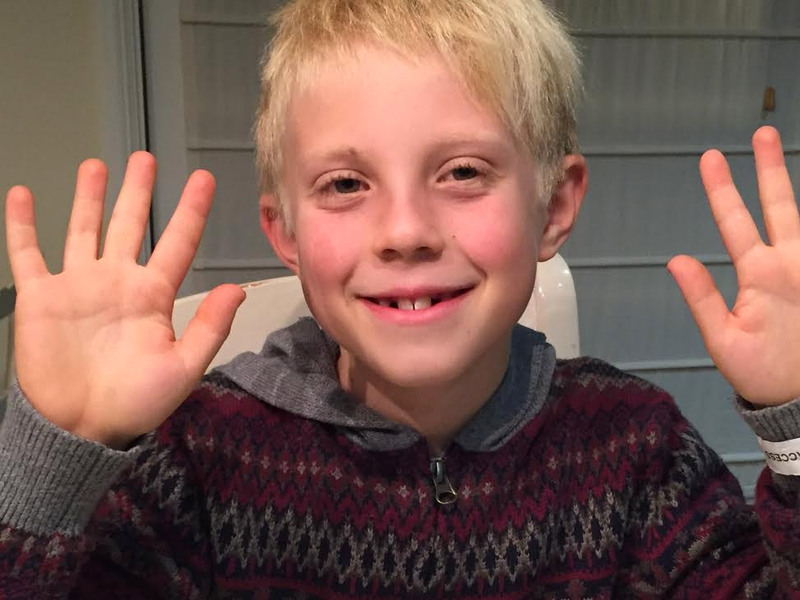 Thanks, Max, for the thumbs up. I’ll give them a try. Got a question for you: what are the little brown specks in the chips? Do you think they add a “deeper” corn taste to the chips? I am not sure. We looked at the bag though and I’m guessing it is corn. I don’t think they added them for deeper corn though but I’m interested in what you think if you try them. Great story, Max. Love hearing about the aftercare program and those fantastic dippers. Will have to try them, but they’ll have to be pretty darn good to be as tasty as your writing. “Well spoken sir!” P.S. That’s a line from The Princess Bride, my favorite movie. Tortilla chips are my favorite chip so I am excited to try the corn dippers! TJ’s here I come. Thanks Max for this deliciously written post. I’m sure you’ll love the corn dippers. They are extra good with guacamole.